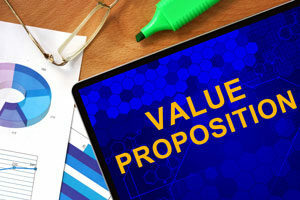 Understanding customer worth is among the most significant aspects of achieving business growth. Metrics can define revenue growth and operating profit for you but if you have identified techniques to figure out Customer Lifetime Value (CLTV), it will help your business grow like nothing else can. Once you have figured out the worth of a customer, you can decide which customer to invest in, recognise new target markets, establish product and service lines which should be promoted, spot the unprofitable customer, and find out the areas where you can reduce investments and costs. If you can decode the lifetime value of a customer, you can explore opportunities to maximise value moving forward and come up with data-driven decisions which can help increase the ROI. So how should one go about calculating the lifetime value of customers? Begin by calculating how much the customer has contributed to the profit of your business in the present year. The simple formula is to subtract “cost of goods sold or services sold or any other cost attributed to the customer” from “revenue earned from the customer”. Next, you need to create an estimate for how long you are likely to retain each customer. It is significant to figure out which customers are more loyal than others and have the potential to be repeat buyers. Also, it is crucial to assess their buying patterns and the frequency of their purchases. 3rd step: Assessing what customer acquisition/retention is costing you? Once you are done with this, evaluate the amount which customer acquisition or retention costs you. A particular line of customers are enticed by initial marketing investments like advertising while others may be pepped up by large discounts. Some customers can drain you initially but need no retention cost. For others, you may have to indulge in expensive reselling effort each time. Ideally, you should factor in all these costs incurred on an annual basis. All you need to do now is create a cash flow model. Use metrics like yearly customer contribution, cost of acquisition and retention, among others, and spread the cash flow model over the lifetime of the customer relationship. Of course, it is a dynamic world and you will have to keep changing the metrics based on shifts in customer preferences, mindset and buying patterns. It may initially surprise you but once you have a cash flow model going, you will find out that there are more ‘unprofitable’ customers than you ever thought. Armed with this knowledge, you will be able to question yourself on your previous strategy of investments and make smarter profit-oriented investments in the future. I would like to add that if you get much of your business through word-of-mouth referrals then the formula mentioned below would become quite relevant to assessing customer lifetime value. 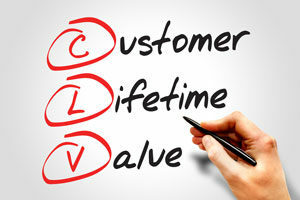 Customer Lifetime Value = Sale Price – Cost of Goods/Services Sold. Let me explain. Let us suppose that John Smith sells goods in the range of $500 and $800. His labour and material costs are 30% of the sale price and one out of every 3 customers give him a referral (33% referral rate). Let us do further calculation. His average sale price is ($500 + $800)/2= $650. His cost price is 30% 0f $650 or $195. With a firm grip on customer value, you can make spot on, data-driven advertising models. Metrics will replace guesswork and you will be able to provide greater value to your customers and subsequently to your own business. In this accurately planned world, what you throw comes back at you multi-fold. When you care for your customers, you will find their lifetime value increasing along the years. No better way to maximise ROI and draw personal satisfaction through your business!